We’re often asked by readers and acquaintances whether it makes sense to buy an affordable television from one of the smaller, less-established brands around. While many of those TVs make a lot of sense if you have a low-budget but want a large, feature-filled TV, we’ve always been firm in suggesting that you go with the established and experienced brands if picture quality is your primary concern. Today, we’re reviewing the kind of television set that packs in everything you could possibly need from a TV. Naturally, this level of quality comes at a serious premium. The 65-inch KS9000 is this year’s flagship Samsung SUHD TV, and is priced at Rs. 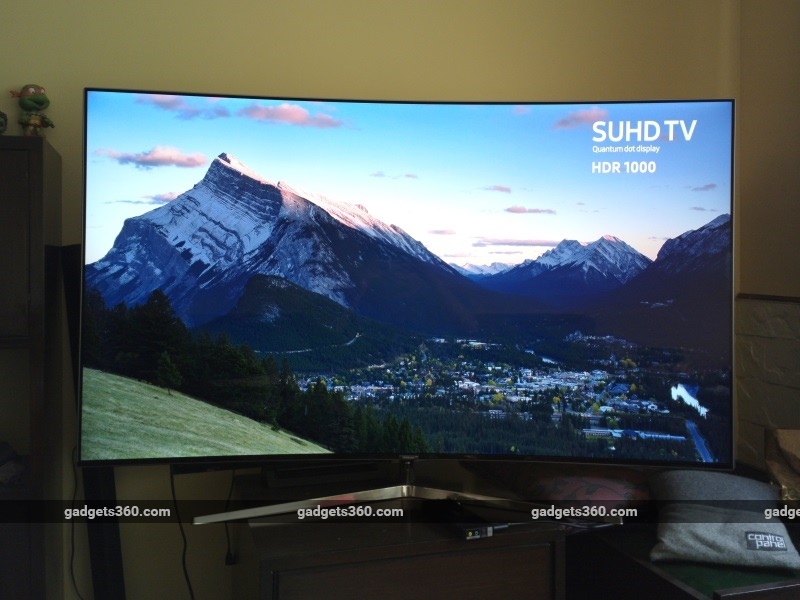 4,40,900, although it is possible to get the more affordable 55-inch variant at Rs. 2,99,900. There are some similarities and some changes between the 65KS9000 and last year’s 65JS9000 variant. 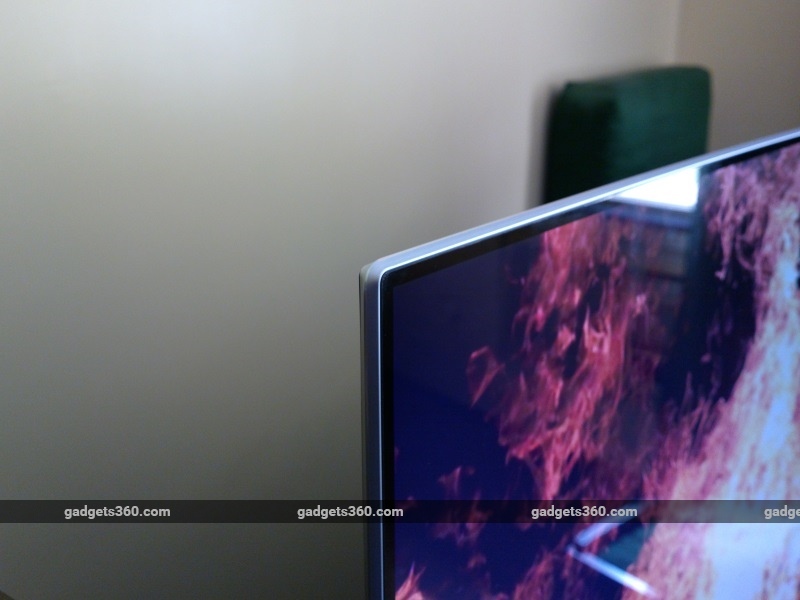 The TV remains curved, and features a 3840×2160-pixel resolution. However, the Smart TV user interface has undergone big changes, and this model features the big new TV technology of 2016: HDR. Much like the flagship Sony 55X9300D, the Samsung 65KS9000 is loaded to the brim with everything you could possibly want in a TV. Find out all about it in our review. The KS9000 looks a lot like last year’s JS9000, but there are a few subtle differences as well. This year’s variant is just a bit slimmer and has thinner borders. The front is practically entirely screen, and very little of the TV is visible around it from the proper viewing angle. If you choose to stand-mount the TV, the single-spine stand is excellent and lets you place the TV on ordinarily small tables without any trouble. You can of course also wall-mount the TV if you choose. 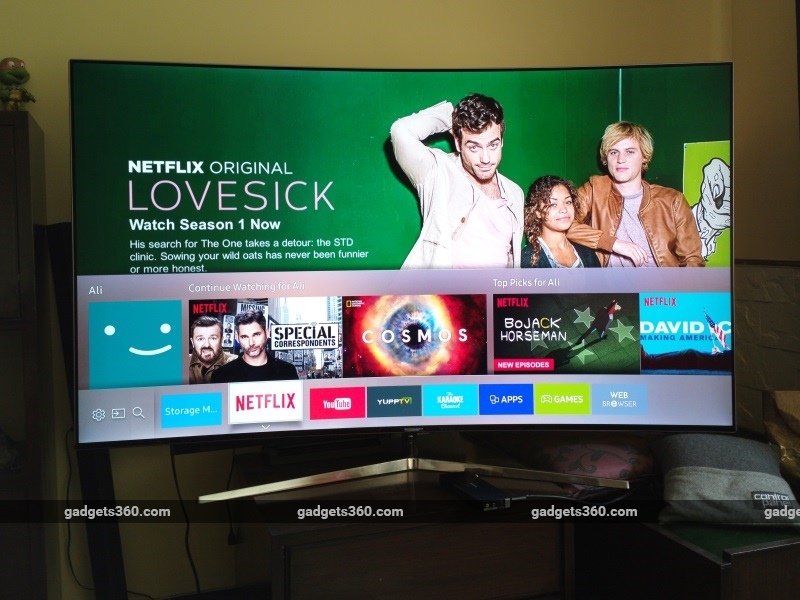 The curve of the screen is gentle and barely noticeable from the optimal viewing position, but definitely has an impact on the general look and styling of the TV. The sheer size of the screen makes an even bigger impact, and you’re assured a cinematic viewing experience as a result. The 65KS9000’s speakers fire downwards and are ordinarily not visible from in front of the TV. The back of the TV is plain, with ports for only the USB dongle, LAN cable, a USB port for service-related work, and the power cable. There’s also the port for the OneConnect cable, which then connects into Samsung’s proprietary connectivity box. The box can be replaced and upgraded with newer options as they become available, and makes for easy reach of most of the ports and sockets that you will likely use with the TV. 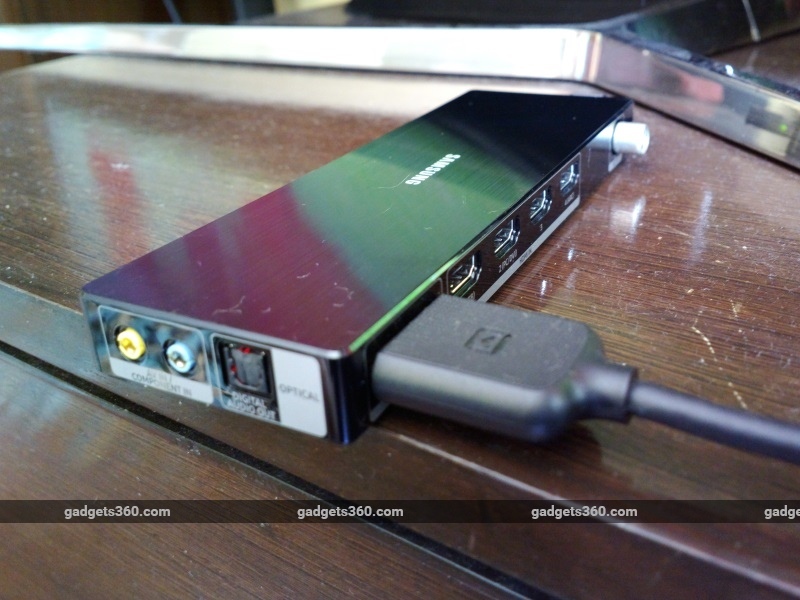 The box that is included with the 65KS9000 has optical, component, four HDMI ports, two USB ports, and the output port for the OneConnect cable. It’s also a fair bit smaller than the last variant, making it easier to place and manage. This remains a fantastic implementation of the way connectivity is handled, and we’re surprised more brands aren’t doing this too. 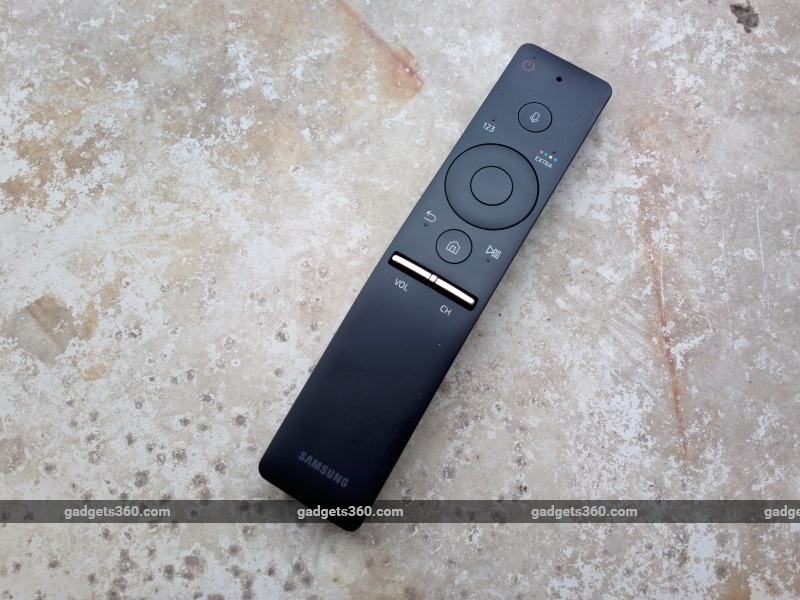 The remote of the Samsung 65KS9000 isn’t quite as fancy as the last variant, lacking the directional pointing capabilities and wand-like actions. The goal here is simplification; the new remote is focused on ease of use, without any complicated functions that might be deemed unnecessary or maybe infrequently used. It’s slim, fits in your hand well and has only the necessary buttons. Volume and channel switching uses a neat push-and-pull method, while the home, back, play/ pause and directional buttons are ordinary physical clickers. There are also buttons for the microphone trigger, numeric pad and extra functions, as well as the power button. While the home and directional buttons are easier to use, the rest are a bit tough as they aren’t clearly marked on the remote and need you to find the exact spot to press down on. The remote is Bluetooth-powered like the last variant, so you don’t need to actually point it at the TV to give commands. Although last year’s Samsung TVs used nano-crystal technology in the display, the Korean company has gone with quantum dot technology this year, which is claimed to be the next big thing in LED display tech. It’s competing closely with OLED technology, which is being pushed primarily by LG. Although Samsung has manufactured OLED TVs in the past, it has thrown its weight behind quantum dot this year. Quantum dot technology provides more brightness and natural colour, but OLED is far better when it comes to deep black levels and contrast. The former also boasts of up to one billion different colour shades, and is meant to be used with HDR content for that reason. The Samsung 65KS9000 has a 3840×2160-pixel resolution, and also features HDR capability, the benefits of which we’ve described in detail in our review of the Sony 55X9300D. It can be connected to the Internet either wirelessly or using a standard Ethernet cable. The TV does not feature 3D capability, and considering how little it’s actually used in the real world, we aren’t even going to consider this a shortcoming. 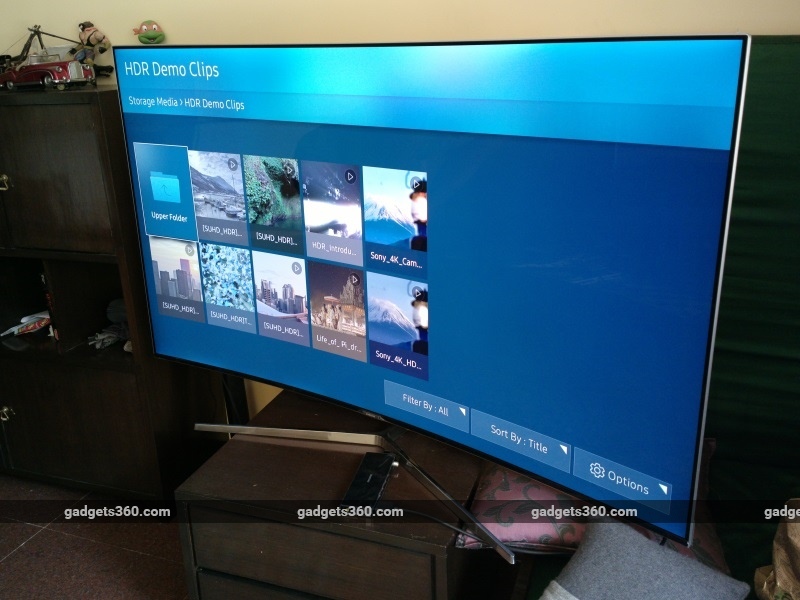 Samsung has overhauled its smart TV interface with its latest iteration of Smart Hub UI. The interface is a lot less intrusive than some other operating systems such as Android TV and the custom interfaces that many low-cost manufacturers use, feeling most similar to LG’s WebOS. On pressing the home button, options pop up in a horizontal strip at the bottom, allowing for most of the screen to remain free for the picture. This means that you can continue to navigate the interface even when you’re watching something without interrupting it. Most of the apps available are content-based and push news and videos onto your screen. There are some India-focused apps as well, such as Cric-O-Mania and Yupp TV, as well as evergreen favourites such as Netflix and YouTube. Various sources and apps can be set as favourites to allow easy access, and there are also plenty of games and a Web-browser for enhanced connectivity. It’s simple, non-intrusive and generally very easy to use, while most video and audio file formats are supported over the USB port and in-built media player. The settings menu has some quick settings within easy reach, but more complicated steps involve going into the expert settings selection. It’s possible to quickly and easily pair a Bluetooth speaker or headphones to the TV, which is useful if you want to boost sound or watch TV quietly and privately at night. You can also use the Bluetooth connectivity in the opposite way, using the TV’s speaker array to play music from your smartphone. There is also directly screen-mirroring and casting from Android devices. The system is not without issues, though. It can be buggy at times, which we noticed when using certain services on the TV. The UI presumes that you wish to resume where you last left off, which can cause problems with authentication and logging in to certain streaming apps such as Netflix. We often had to power off the TV from the mains and restart it to get it to properly log into Netflix on such occasions. However, the TV does manage to quickly connect to and hold the connection with a wireless Internet connection. The presence of good streaming services such as Netflix also means that you immediately and directly have access to a lot of good content. We used a variety of content for our review of the Samsung 65KS9000 TV, including 4K and HDR demo clips, downloaded files, and streamed content from services such as YouTube and Netflix. We also tested various connectivity features using our OnePlus 3 (Review). Starting with our collection of HDR clips, we found that the colours displayed by the TV were more realistic and natural looking than anything else we’ve seen, including the excellent Sony 55X9300D. The picture was brighter when it needed to be and darker when that was necessary, without much error in the processing. While vibrant and accurate, the colours never feel excessive, and indeed have a sense of naturalness than we haven’t noticed on any other TV. Sunlight looks particularly good, and can get so bright that you might find yourself squinting occasionally when the sun is shining right at the camera. A lot of detail is visible in the dark zones of the frame, giving it an impression of naturalness and coming as close to what your eyes would see as a television screen can get. Night-time scenes look best, as do low-light scenes, where detail is visible even in the shadows. This is because of the enhanced brightness and colours, which allow for more detail to be visible even with less light. Moving on to 4K content, we found plenty of detail, a sharp and life-like picture and visible quality in the image. 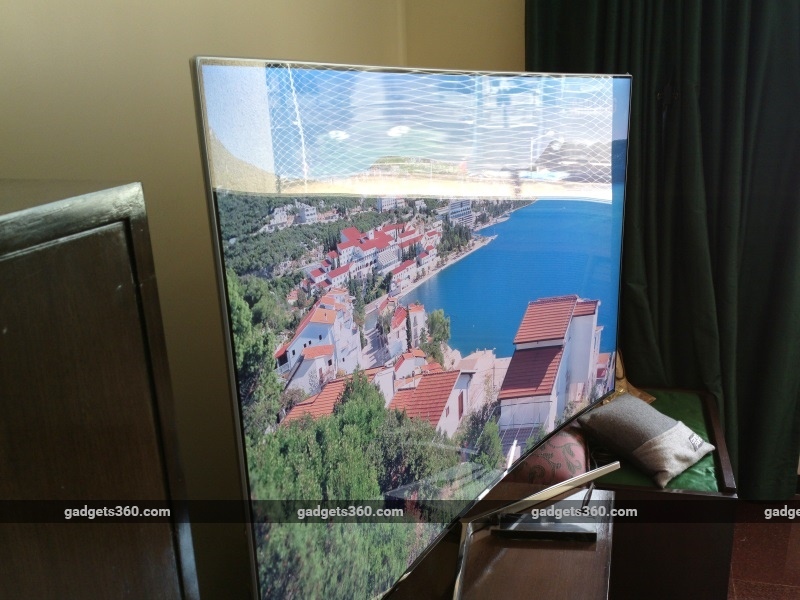 Everything from the sharpness, colours, definition, and motion handling is vastly better than what you can expect from most of the budget television manufacturers, and with the KS9000, Samsung once again proves why its products are priced at a premium. In fact, we found the colours to be more natural than the Sony X9300D with non-HDR clips, showing just what the quantum dot technology is capable of on its own. With 1080p and 720p content, we noticed a good sense of motion handling and quality with good quality content, but the flaws are often visible in compressed and streamed files. Detail is visible, but the size of the TV and the high-resolution does result in some visible flaws in the detail. To some extent, upscaling can be considered a bit weak, but the sub-par performance with compressed files has more to do with the size and scale of the TV itself. Standard definition content is average at best, as is usually the case with big, premium TVs. The high resolution and picture quality at that resolution means that the TV has to work harder than usual to scale standard definition content to cover the screen and pixels. Far too many artefacts are visible on screen, and this TV is meant only for viewing of content that is of HD or higher resolution. Sound performance is surprisingly good, thanks to a powerful speaker array on the Samsung 65KS9000. Although sound is occasionally a bit weak with USB content, it usually sounds strong and defined with all other modes, including streaming. Although a soundbar would certainly add to the experience, the TV is usually adequate for most purposes. The sound is booming and full, with bass that can be distinctly felt. 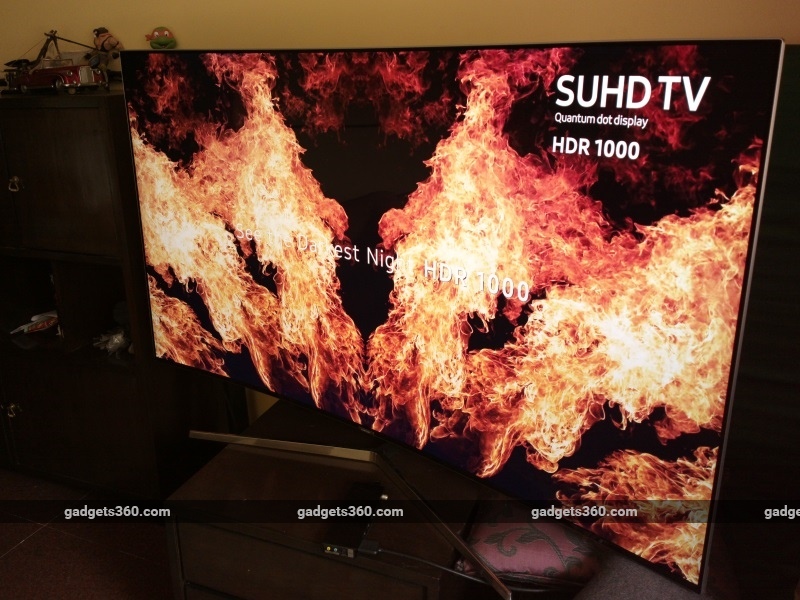 The Samsung 65KS9000 SUHD TV is without a doubt one of the best TVs you can buy today. Although it’s Rs. 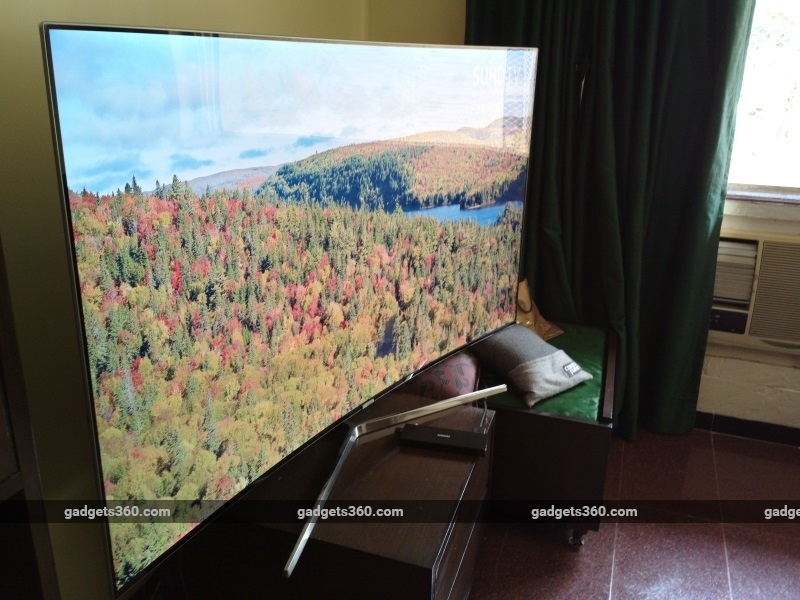 4,40,900 price tag is likely to scare a lot of buyers away, discerning videophiles and television enthusiasts are unlikely to find a TV that offers better performance on the whole. Featuring quantum dot technology, HDR video, and 4K resolution, this TV excels in most ways. As expensive as it is, this is the cost of quality. Although the 65KS9000 has its issues with upscaling, it’s goes above and beyond expectations when it comes to HDR, 4K, and full-HD content. Its smart and connected functionality is among the better options available, and above all, the TV’s sheer size and looks makes it an attractive option for your household. This is the kind of television you aspire to own, and it’s one we’d gladly recommend you buy if you have the money to spend.